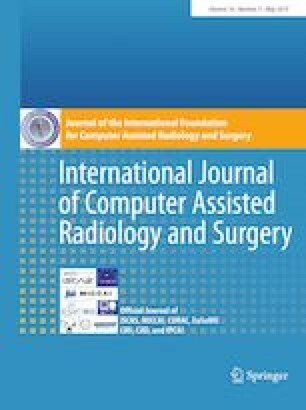 For many applications in the field of computer-assisted surgery, such as providing the position of a tumor, specifying the most probable tool required next by the surgeon or determining the remaining duration of surgery, methods for surgical workflow analysis are a prerequisite. Often machine learning-based approaches serve as basis for analyzing the surgical workflow. In general, machine learning algorithms, such as convolutional neural networks (CNN), require large amounts of labeled data. While data is often available in abundance, many tasks in surgical workflow analysis need annotations by domain experts, making it difficult to obtain a sufficient amount of annotations. The aim of using active learning to train a machine learning model is to reduce the annotation effort. Active learning methods determine which unlabeled data points would provide the most information according to some metric, such as prediction uncertainty. Experts will then be asked to only annotate these data points. The model is then retrained with the new data and used to select further data for annotation. Recently, active learning has been applied to CNN by means of deep Bayesian networks (DBN). These networks make it possible to assign uncertainties to predictions. In this paper, we present a DBN-based active learning approach adapted for image-based surgical workflow analysis task. Furthermore, by using a recurrent architecture, we extend this network to video-based surgical workflow analysis. To decide which data points should be labeled next, we explore and compare different metrics for expressing uncertainty. We evaluate these approaches and compare different metrics on the Cholec80 dataset by performing instrument presence detection and surgical phase segmentation. Here we are able to show that using a DBN-based active learning approach for selecting what data points to annotate next can significantly outperform a baseline based on randomly selecting data points. In particular, metrics such as entropy and variation ratio perform consistently on the different tasks. We show that using DBN-based active learning strategies make it possible to selectively annotate data, thereby reducing the required amount of labeled training in surgical workflow-related tasks. This article contains patient data from publicly available datasets.